Camera Preset+ is a Windows Phone 8 photography app that allows you to save your camera settings in a preset tile for easy access. You can create a series or group of settings within each preset, just in case you're not sure what settings will do the trick. The user interface takes a little getting used to but if you're looking for a quick and easy way to switch your camera settings for particular situations, Camera Preset+ is worth a try. Camera Preset+ is a Windows Phone 8 lens application so you can access it from the native camera app or you can launch it independently. The viewfinder has two buttons to the side, one to edit the preset and the other to access all your presets. From under the three dot menu you have controls to add presets, delete presets and view the about screen. You can adjust the following with each preset. Within each preset you can add additional settings groups. So if you want to have the first preset using ISO 100 and add another to use ISO 200, just tap the "Add" at the bottom of the edit screen and make the adjustment. When you use a preset with multiple settings groups, each group is used when you take a photo. You can then choose which settings group works best with what you are photographing and save that particular photo. It's a nice feature to be able to bracket your settings within the one preset. I like the concept of Camera Preset+ but the user interface takes a little getting used to. One thing that would help this app greatly is a Help Section. There is a tutorial that walks you through setting up a preset but once you view the tutorial, there isn't a way to watch it again (other than re-installing the app). A reference section would help users get accustomed to the user interface and avoid a lot of frustration. I kept tapping the "add" button on the preset editing screen thinking I was adding another separate preset when it was actually creating a secondary preset within. 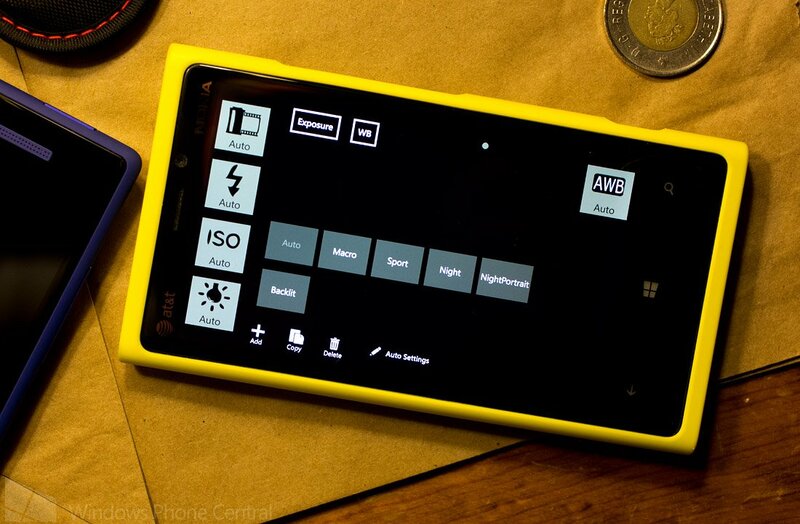 Another feature that might help Camera Preset+ is the ability to pin presets to your Start Screen for easy access. If you create and pin a preset for macro, those settings would be on tap away when you head out to take photos of flowers. All in all, Camera Preset+ isn't a bad camera app for your Windows Phone 8 device. It just takes a little time to get used to it. There is a trial version available for Camera Preset+ with the full version running $1.49. You can find Camera Preset+ here in the Windows Phone Store.